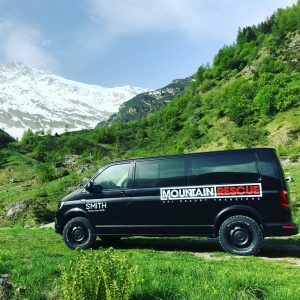 After organising emergency transfers for holiday makers stranded in the Alps due to the ash cloud of Eyiafjallajokull volcano in 2010, we called ourselves the Mountain Rescue and started along the road we are on today. Nowadays, along with other firms in the area, we only occasionally need deal with extreme and unpredictable weather conditions, plus the odd 50 ton rock blocking the path to Val Thorens. Experience and plenty of planning is the only way to operate at this type of altitude. We use a comprehensive booking and scheduling system to take care of our data. Our office runs 7 days a week, helping customers and taking last minute bookings. As you would expect, operating a French registered transport business, there is plenty of red tape to keep on top of and as we operate inside Switzerland as well. 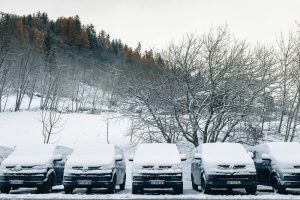 All our drivers need to be registered each year with the Swiss authorities before they start work. Each has to supply a basic disclosure, pass a French medical and be able to drop 10 interesting facts about the route from Geneva to Tignes in order to start the season with us. So it is no simple feat! Our team is made up of myself (Simon), my wife, our office team and around 20 elite drivers. We have an extensive knowledge of working in the Alps and in particular the Tarentaise valley. Our main business is private airport transfers from Geneva, Lyon, Grenoble and Chambéry airports, but we also offer our services around cities and we pick up from hotels in all of these areas. And occasionally other locations too. We know travelling from airport to ski resort isn't the most exciting part of the holiday, but its our aim to make it as enjoyable and pleasant as possible. We ask you to sit back, enjoy the ride. Let us bring you seamlessly from the plane to the powder. Bookings already flying in for the peak weeks so get in early to avoid disappointment. Book Now! We are also adding new levels of service Business and First Class. "Business Class" in the form of two very nice Volkswagen Multivans with leather conference style seating and a Tiguan Allspace R Line. First Class will be operated in Mercedes V Class minibuses with all the trimmings you expect at this level of service. Once the winter is underway we offer last minute transfers from the airports we operate out of - Geneva, Grenoble, Chambéry and Lyon. Each weekend we add our "empty legs" (available seats) for the coming week. If you are looking for a late transfer you may find a real bargain! Yet to be confirmed but most of our brilliant drivers are coming back. Check out the profile of your driver on our Team Page. We are very excited to be now partnering with Glisshop. With one of the largest selections of ski gear in Europe and a super fast UK delivery service, its the place to get geared up for this winter. 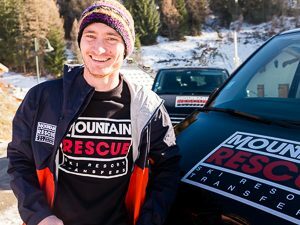 © 2017 Mountain Rescue. All rights reserved.